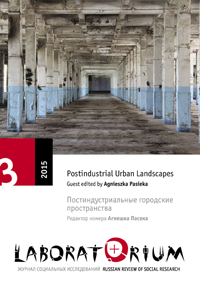 Despite a narrative of deindustrialization, monotowns and former industrial settlements are numerous in today’s Russia, and are significant not only in terms of the territory they occupy and the population they host but also because of the particular economic and cultural practices, logics of community building, and particular types of “connectedness” and horizontal networks that make these places special and habitable for their “dwellers.” This article offers an ethnographic account of the daily lives of blue-collar workers in a former industrial town in central Russia. Based on extensive fieldwork, the article demonstrates how people live their lives and manage to remain “satisfied” with what they have despite the crisis and relative poverty they faced after the fall of the socialist project, losing the town forming enterprise, and the social trends associated with neoliberal transformation. The article presents a case study that shows the “other life” in today’s Russia, which is not at all present in mainstream academic discourse. In English, extended summary in Russian.